Jack, can we get a side view of this tooth? Does it have much labial to lingual curvature? That is exactly what I was looking for. That could help give a positive I.D. Sorry for delay. A hunting partner found this one. I took the photos yesterday and will see him tomorrow. I'll get more photos. The tooth seems "odd" to me for the Peace River, I also said 'lower Mako" but without conviction. I agree as I have not seen a mako with the blade curved like that. Just trying to learn from ID confusion on my part. 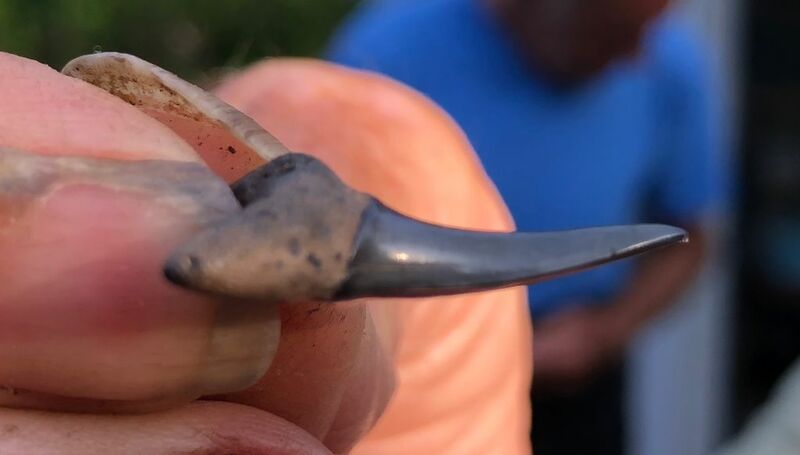 This is Carcharias and I expect ID to be easy -- they have pronounced sharp cusps. It does not look to be damage that broke them off. So maybe a recessive trait or pathological. I think the side cusps have been eroded away. From the photos it looks like a lot of wear to the root. Look closely where the enamel ends and the root begins, the transition should be smooth on an unworn tooth. Your tooth shows missing root where it transitions from the enamel. I agree with Al Dente on this. For others wanting teeth identified, this is why good clear photos from all angles are important. 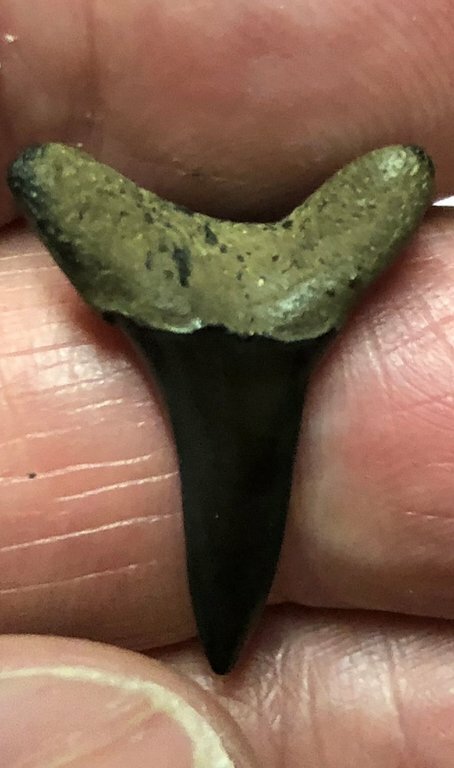 People quickly said this tooth was a mako, without having all of the views. 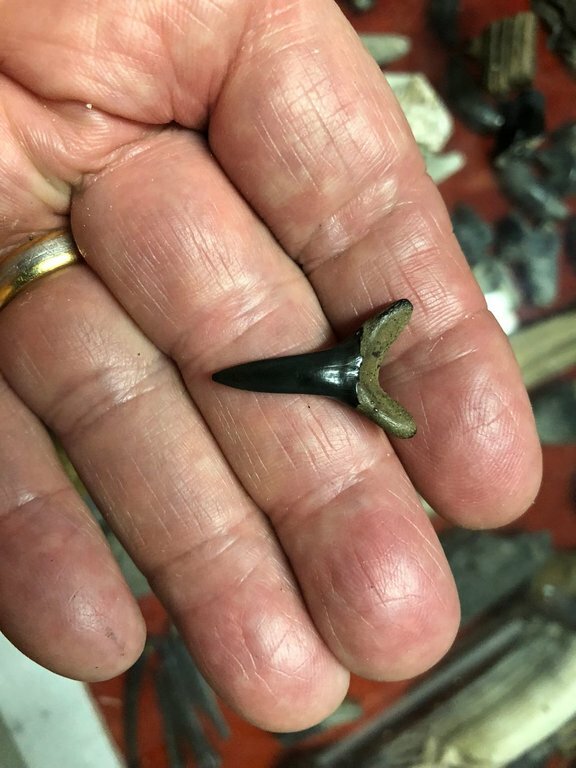 Once the view I requested was given it became very clear that the tooth is Carcharias. 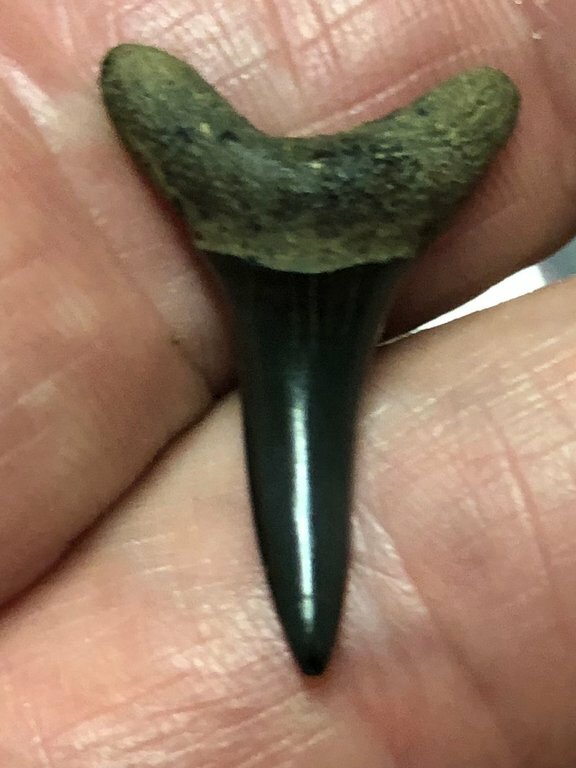 People quickly said this tooth was a mako, without having all of the views.